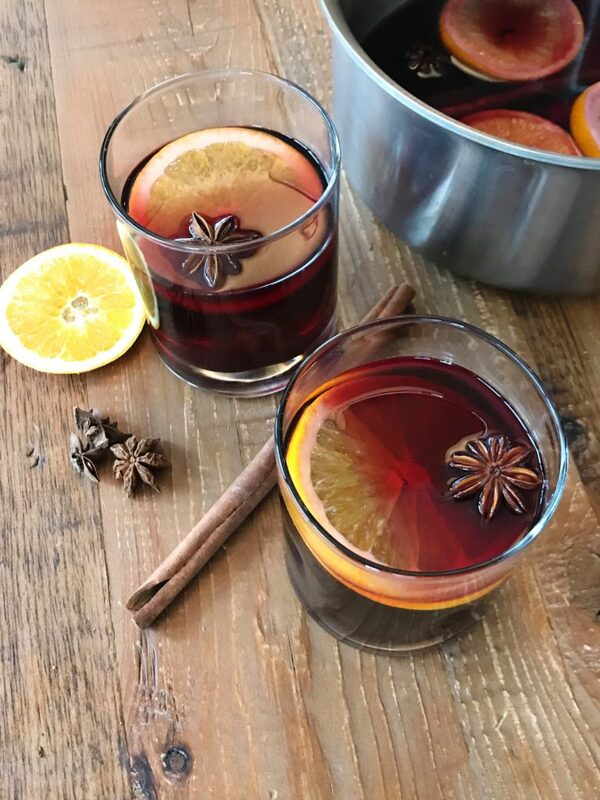 Is there a better time for some warm, spice and citrus infused wine than around the holidays? Absolutely not. 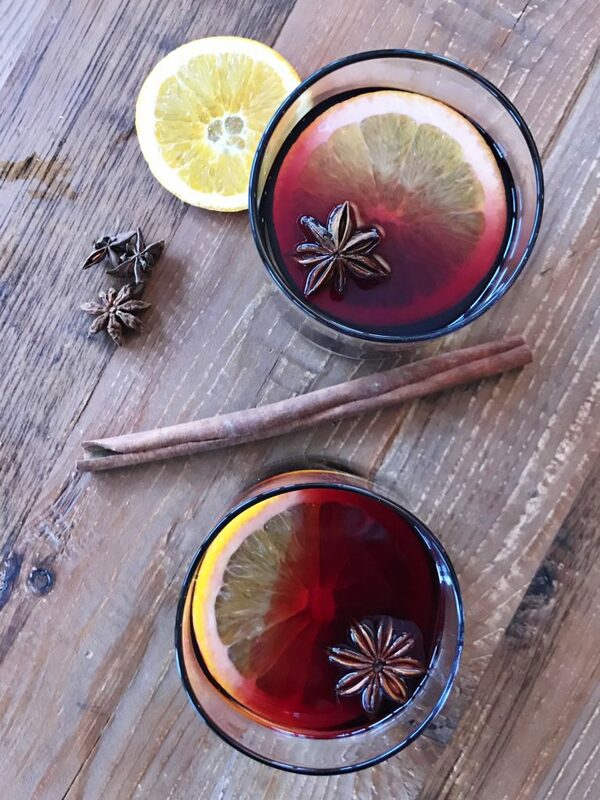 This mulled wine is perfect for a night cuddled up next to your fireplace, to celebrate cutting down your Christmas tree or to serve when friends come for a visit. 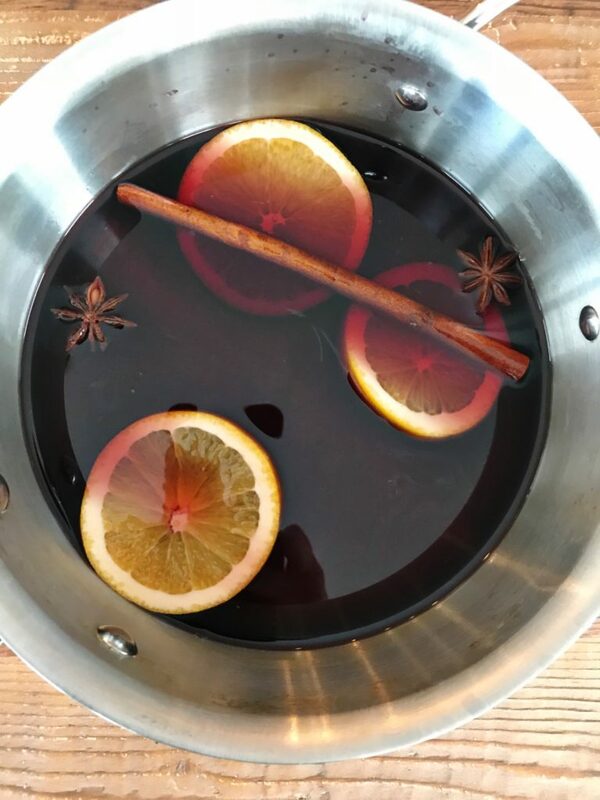 Mulled wine is so easy and delicious. 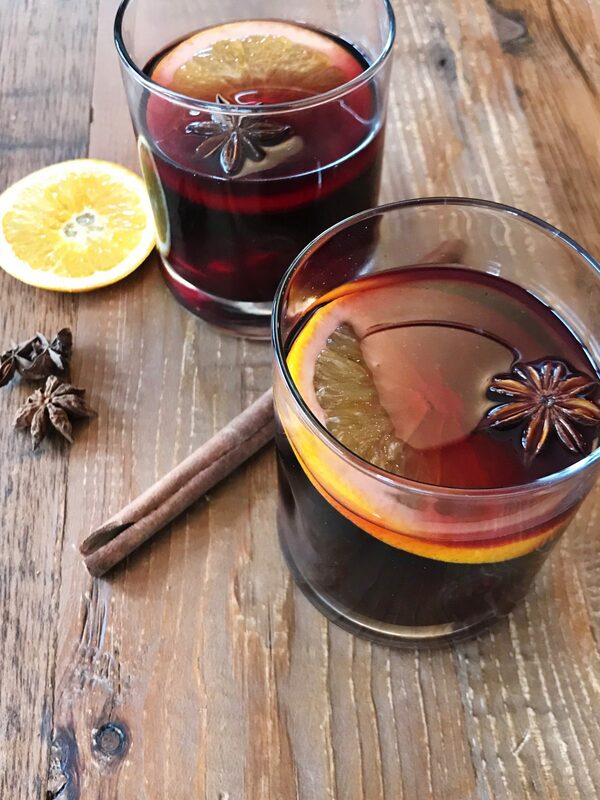 Think of a yummy sangria with more notes of cinnamon and star anise and served warm. Have you ever used star anise? It’s an awesome looking spice that (to be honest) I only use when making mulled wine. Making this recipe is also the perfect time to use those cinnamon sticks that you’ve been hanging on to. 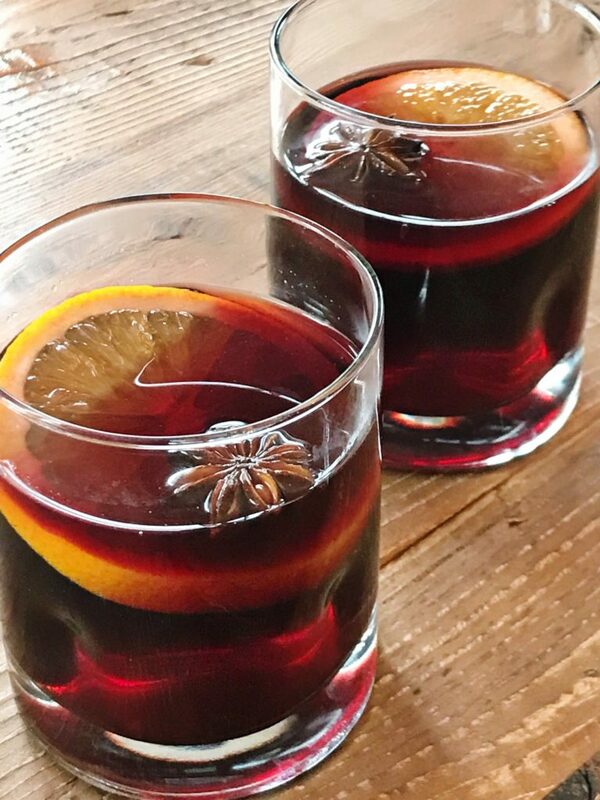 Another great perk about making this recipe (besides the fabulous end product) is you don’t need to spend a lot of money on the wine you use as you will be infusing it with amazing flavors. 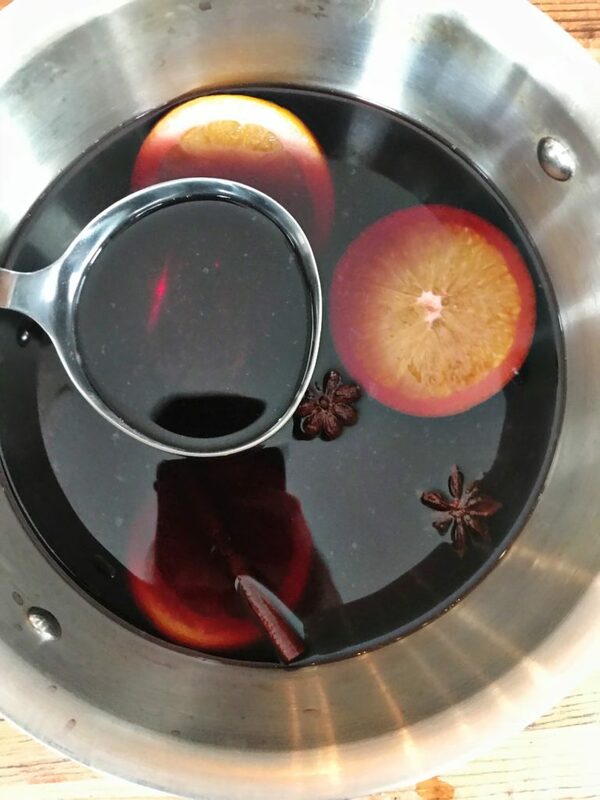 So go ahead, make some mulled wine, relax and enjoy. Combine all ingredients in a medium saucepan and bring to a simmer over medium heat. Do not boil or you will boil off most of the alcohol. Once you reach a simmer, turn heat to low and keep simmering for another 15 minutes allowing the flavors to infuse. Ladle into glasses and use any of the optional garnishes if you wish.